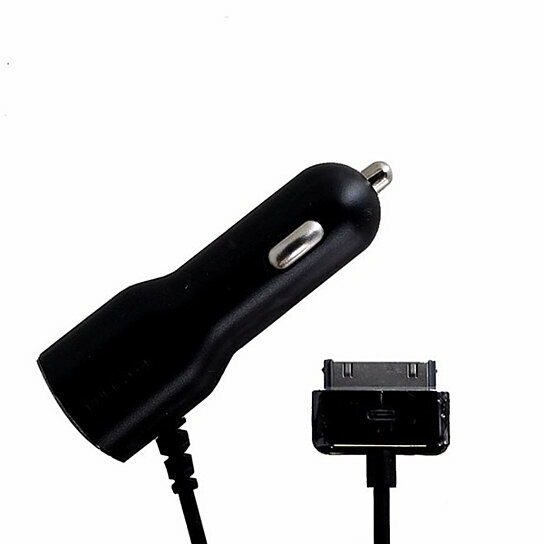 Pure-Gear brand Car Charger with Extra USB port with 30-Pin Connector. All Black finish. Compatible with iPhone 3, 4, 4s, iPad 1/2/3.